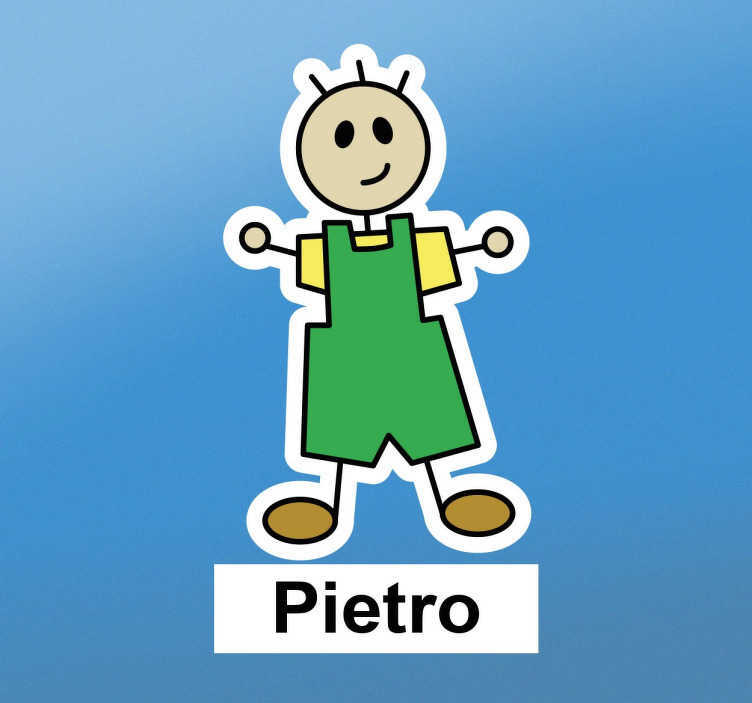 This customisable wall sticker consists of a little stick man, with a yellow t-shirt and green overalls. The boy has a smile on his face, with his hair slowly growing on the top of his head. The name under the image can be personalised for you. This children's wall sticker is perfect to decorate a nursery or your sons bedroom. Like all of our stickers, this design comes in various different designs. Remember to enter the name of your choice on to the text box!